They call themselves the purveyors of happiness. 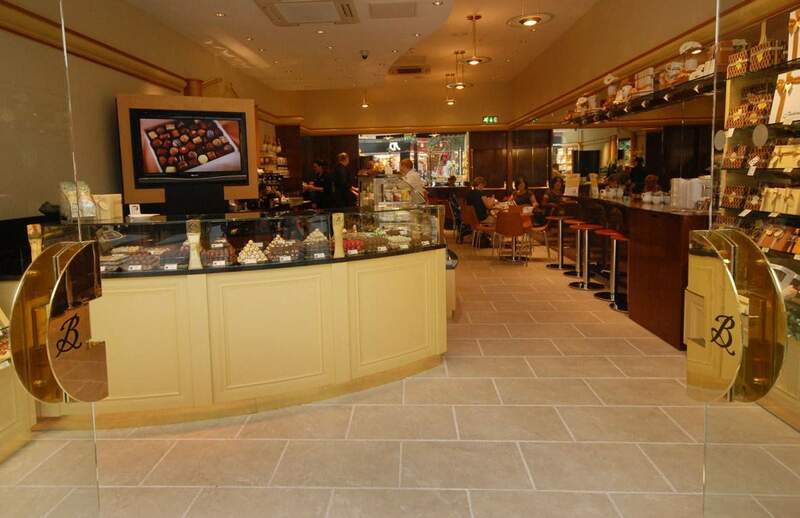 Butlers Chocolates call themselves ‘purveyors of happiness’, and it’s not hard to see why. Founded in Ireland in 1932 by Ms Bailey-Butler, Butlers has since become a fixture of chocolate appreciation across the United Kingdom. Several stores also exist in New Zealand, one of these being the Willis Street establishment that served me a little cup of heaven on my visit. Butlers Chocolates, now over 80 years old, is still based in Dublin and Mrs Bailey-Butler's original recipes and chocolate making techniques have been handed down to the present generation: Butler's extensive range of milk, dark and white speciality chocolate assortments, creamy toffee, velvety soft fudge, chocolate bars, and milk chocolate truffles were all her original recipes. Not stuck in the past though, Butlers have also developed new products, launching their first organic chocolate range, dark chocolate selection, 200g Chocolate cube range, Butlers Chocolate Café ice cream as well as Take Home Ice Cream amongst others. Also in collaboration, Butlers Chocolates launched a range of chocolates with Irish Fashion designer, Orla Kiely. They also happen to make a ridiculous hot chocolate. There are several different flavours to choose from when selecting your chocolate-y drop; my choice (after an embarrassingly extended period of deliberation) was the cookie hot chocolate ($5.20). This bad boy was rich. Absolutely delectable with thick, sweet, gooey liquid, punctuated by crushed pieces of cookie, I couldn’t make it all the way through that sugar explosion as I think my heart was about to give out. What I did manage to consume though was simply divine, and will definitely be re-tried, with a fierce determination to swallow every last drop.